Sepang: Honda announces the Honda group of companies in the Asia & Oceania region has completed the “Honda Asian Journey 2017,” a Honda big bike caravan with riders from five Asian countries who cruised Peninsular Malaysia from October 26 to 29 to watch the Malaysia Motorcycle Grand Prix (MotoGP) race at Sepang International Circuit. Participants in the caravan included journalists, motorcyclists, Honda dealers, and associates from Malaysia, Indonesia, Vietnam, the Philippines, and India. 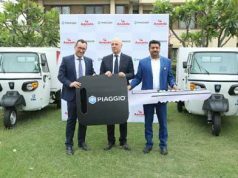 The final day of the journey began with a flag-off ceremony at the Renaissance Hotel in Kuala Lumpur, where hundreds of motorcyclists including the 50 Honda big bike riders participating in the Honda Asian Journey 2017 departed as a group for Sepang International Circuit. Hundreds of additional commuter motorcycles and big bike riders joined the convoy as it traveled to the Sepang International Circuit, where they cheered Honda’s racing teams at the Malaysia MotoGP. After arriving at the Sepang International Circuit, the Honda riders and motorsports fans enjoyed a variety of fun activities at the venue before gathering in the grandstand to watch and feel the excitement of MotoGP racing. 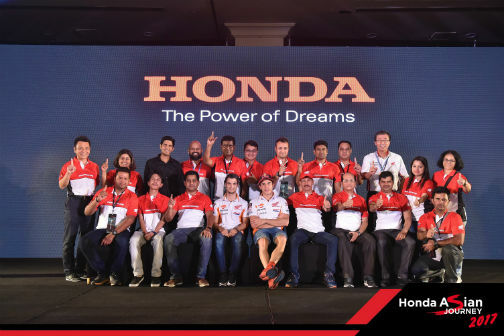 After the race, all the participants then said farewell to the Honda Asian Journey 2017, during which Honda’s big bike models fully demonstrated their outstanding performance in the four days of riding more than 570 kilometers of Malaysian roads.